Andrea Heller, Untitled, 2009. Ink and watercolour on paper, cut and layered in Plexiglas box. 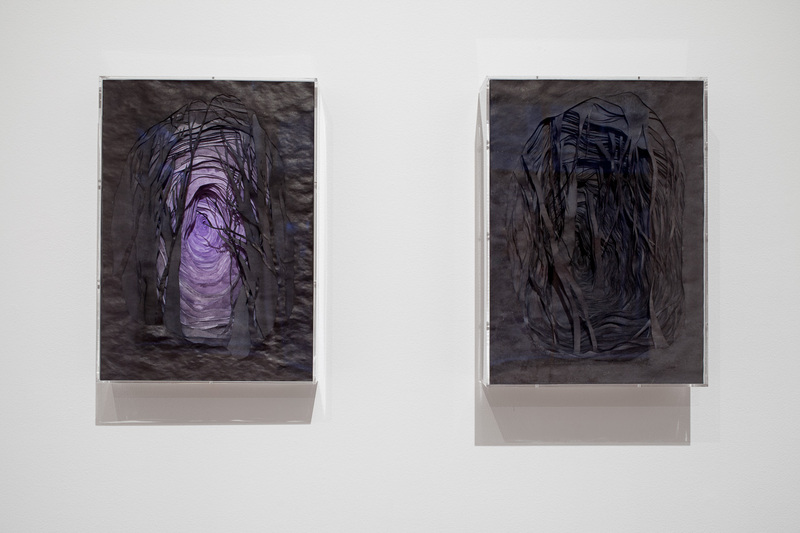 Untitled (cave), 2008. Ink on paper, cut and layered in Plexiglas box.